Boo Frog is proud to release “Better Than The Rest” on 12″ vinyl! 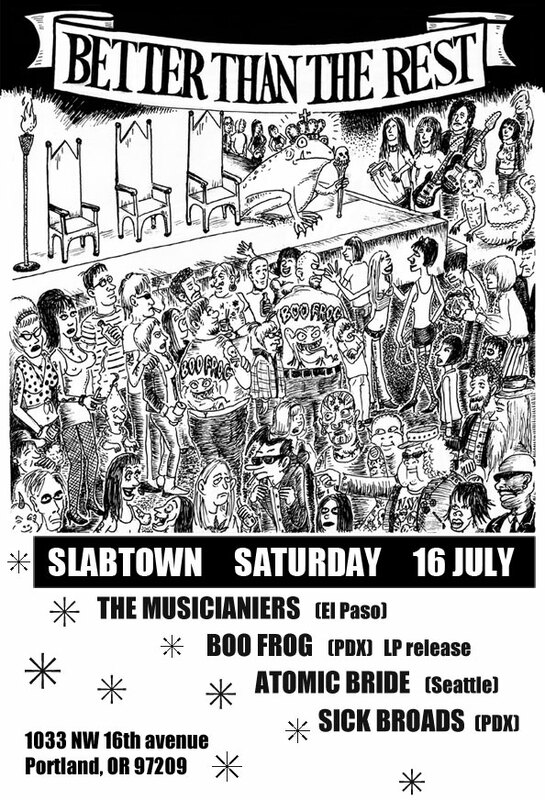 Come help us celebrate on Saturday, July 16, at Slabtown, Portland. We will be playing with Seattle’s ATOMIC BRIDE, Portland’s SICK BROADS, and El Paso’s THE MUSICIANEERS.